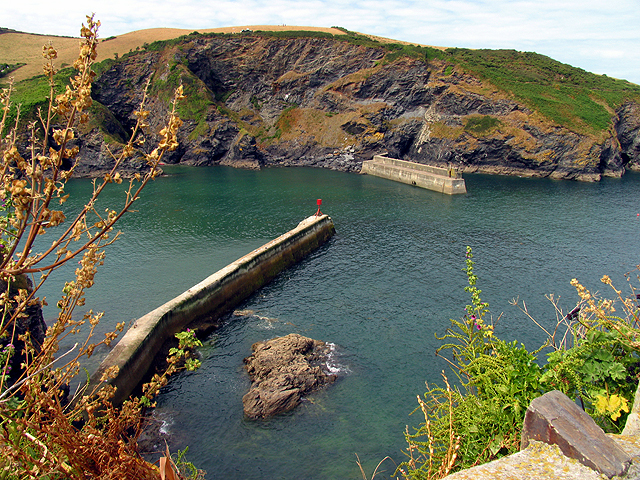 This is a view of the harbour taken from the coastal path on the east side of the inlet, looking west. The walls are on the edge of the square. This page has been viewed about 134 times.